Bowling Green, KY. – August 17, 2011 - The Friends of L&N Depot received official notification it was chosen as grant recipient by Tourism Cares. “We are extremely honored to be one of six world-wide honorees of the Tourism Cares Grant Awards”, states Sharon Tabor, Executive Director. “We were one of only two non-profit tourism sites chosen in the United States to be awarded funds. All other awards were international projects. The grant funds will be allocated for the preservation and restoration of the L&N #109, an historic Jim Crow car donated by the Glasgow Railway Company”. Tourism Cares, the non-profit organization dedicated to preserving the travel experience for future generations, gave out the first group of grants in 2011. These grants are presented to organizations for projects in the areas of historic preservation and educational programs for responsible and sustainable tourism at natural, cultural and historic sites. Supporting non-profits around the world with grant funding is vital to the mission of Tourism Cares. To date, Tourism Cares has awarded funding to 172 organizations in 32 countries and 40 states (including a dozen U.S. national parks). The mission of the Friends of L&N Depot, Inc., the Historic RailPark & Train Museum, is to preserve the history of the Louisville & Nashville Railroad. 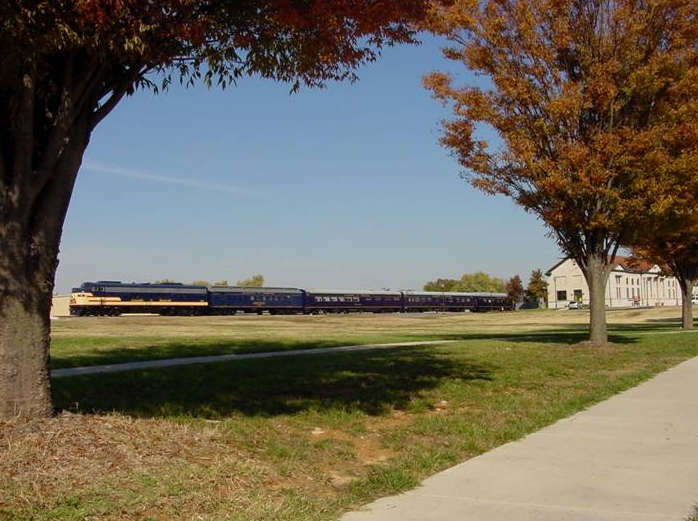 Located in Bowling Green, KY, this heritage site is of national importance to rail enthusiasts, tourists, and students of American transportation and black history. Listed on the National Historic Register, it contains a 1910 wooden #109 three-way (white, baggage, and colored) railroad car. It is one of only five such remaining cars from the era of Jim Crow legislation- a time of segregation that is of social and cultural importance to African-American heritage. The Tourism Cares Worldwide Grant will support a historic preservation project to rebuild and replace rail windows in this vintage car. The project has the support of the Bowling Green Area Convention and Visitors Bureau, Kentucky Travel Industry Association, and Kentucky Secretary of Tourism, Arts, and Heritage Cabinet. About Tourism Cares Tourism Cares is an innovative nonprofit organization formed in 2005 through a consolidation of the National Tourism Foundation and the Travelers Conservation Foundation. The organization works to preserve the travel experience for future generations through a three pronged approach. We award grants to natural, cultural and historic sites throughout the world. In addition, we host unique volunteer restoration projects designed specifically for travel professionals. Recognized as the most innovative “give-back” program in the tourism industry, Tourism Cares volunteer project and Volunteer Day draw thousands of corporate leaders and individuals together to share in the conservation and preservation of treasured cultural and historic sites. We also help assure a knowledgeable tourism workforce by granting academic and professional development scholarships to tourism and hospitality students and professions.